Subscribe to Home Business Magazine! Each issue is packed with valuable information on how to succeed and generate income in a home-based business. Save 25% off the Newsstand Cover Price! Allow 4 to 8 weeks for delivery of your first issue. 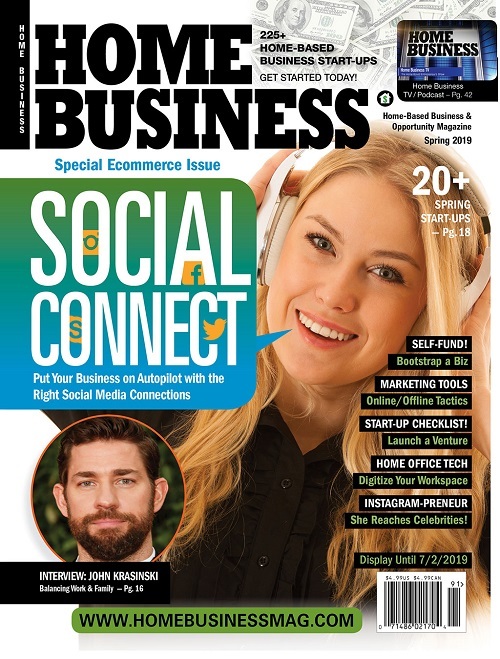 (If you prefer to order your subscription by phone, please call Home Business Magazine's subscription fulfillment center at 888-881-5861 - M-F, 8am-4pm PST (International orders call 714-226-9782). Customer Service - Address Change - Renewal: For customer service on an existing subscription (address changes or renewals), email homebusinessmag@pfsmag.com or call 888-881-5861 - M-F, 8am-4pm PST(or for international orders, call 714-226-9782).